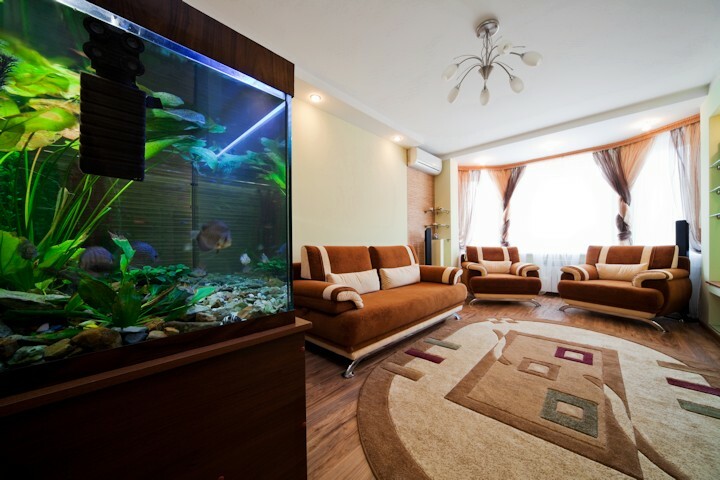 How did you get into this hobby of keeping an aquarium and spending tons of your hard earned money towards it? NaH2O and NaH2O like this. I first got into this hobby when I rescued a male veiltale betta from my mother, his name was Snape. At first, it was just a tank with a bulb, some gravel, and some hideaways. But soon after, I saw several pictures of planted tanks and decided to try it for myself. Now I'm hooked, it's beautiful to look at and it makes me feel proud. However, may Snape swim in peace. parents gave me a tank in 2nd grade. We started an aquaponics system in our basement and I decide that I really liked fish. I put together a 10 gallon in the kitchen for an aquaponic flower bed. I then got a 20 long for free and I had seen some beautifully aquascaped aquariums and I wanted one. I then got a 29 gallon for free. My father was a huge animal lover (managed a zoo, we raised exotic animals like baby lion cubs, capybaras, peacocks, and farm animals like chickens. Also bred chocolate and black labradors and also huskies). He kept several massive planted tanks, and we also dug and built several large koi ponds that we kept on our property. He passed away about a year and a half ago. When the year anniversary crept up this year, I decided to try my hand at starting my own tank (especially since I found watching my friend's tanks therapeutic), to help cope with the loss. Never knew 6 months later that it would become my biggest obsession ever lol. Last edited by PsymonPsays; 09-21-2015 at 10:54 PM. Reason: Added more. My dad had a goldfish pond when I was about 4, I was obsessed with those fish. Snowflake311 and Snowflake311 like this. I won a goldfish at the fair. It was 115F that day. Kept him alive on well water for 6 years in a 10 gallon tank with occasional "Deep cleaning". This was back around the time I first saw Windows 3.1 on a computer. (looks like windows 10 if your wondering). Looking back he was stunted, had old tank syndrome multiple times, and died of septicemia leading to dropsy. I've learned a little bit since then. My grandmother always bought me a new pet when she would come babysit me while my parents were out of town. When I was a teenager she decided I needed a tank. I've had one ever since. I got into plants after coming across this forum a few years ago. My parents bought me a ten gallon tank when I was a kid. In the 1960's! Metal frame and light fixture, incandescent bulb, slate bottom, filter box with floss. I was lucky to keep fish alive considering how little I knew back then. In high school I developed other interests (let's not get into details - it was the '70's). Then around 1989 I bought my son a ten gallon tank and the bug bit me again. For five months of the Missouri Ozarks year, I maintain swimming pools. In late May, 2013, I rescued a small (3 cm/1+") Red Eared Slider juvenile from an in-ground pool skimmer. Took her home and started the slide . . . . Now, I work in the LFS in the 'other' months of the year as well as keep after several planted nano tanks. My 11 year old has been successfully keeping a betta for over 18 months. We tend fish together. I was flipping through a Carolina Biological catalog (we homeschooled, Carolina Biological is basically the supplier for educational things that are in any way related to biology), and I found a section about a new fish they had for sale- Glofish. Convinced parents to get them for me, set up a 10g, and promptly lost 5 of 6 fish to lousy advice (namely, no cycle). Realized I was doing something wrong, went on a research trip, found out what I was doing wrong, and kinda just went from there. It's been something like 9 years, and I now have about 180 gallons of water in my room. Also, I am currently on my way to becoming a marine biologist, and I'm conducting a personal research project into the species and numbers present in a river near our house. I kinda got REALLY hooked. My current project, a 65 gallon aquarium stocked with vernal pool fauna. I was born in one of the third world country where it is extremely expensive to maintain an aquarium. So I started out with a glass Jar from some pickle or something like that and caught fish from the river. And later made a 1 gallon aquarium from some scrap glass. Funny story, my parents wanted it to be clean all the time. So i used to take the fish out, and the gravel out and wash it, dry it and put it back together. Didn know anything about Ammonia then. But they all survived forever. I think I used to do it every week and there was not enough time for ammonia to build up or something watched over the fish. There was no filter, no heater no airstone either. I killed more fish after coming here in the US even though I have a hi tech tank. Semi high tech until last week. Yup so the love for aquarium started when I was maybe 8 years old. Its an obsession now. Carnival fish (Goldfish 1) for 5 year old daughter. Unfortunately I had no idea about fish and changed the water without decholirnator and goldfish 1 R.I.P. Then I actually read up on keeping fish then bought mashaki (kids named) and goldfish 2 and a 10 gallon tank. Then I became hooked! 5 gallon betta tank,20 gallon shrimp tank,90 gallon community tank, and now 55 gallon goldfish tank.